Let´s be honest: We all love to go on vacation. And we have all experienced one or two dampers in the process. Flight delayed, sickness. The bandwidth, infinite. The solution, simple. A travel insurance policy is a very useful topic here, but unfortunately it’s not a very exciting one – or so you’d think. 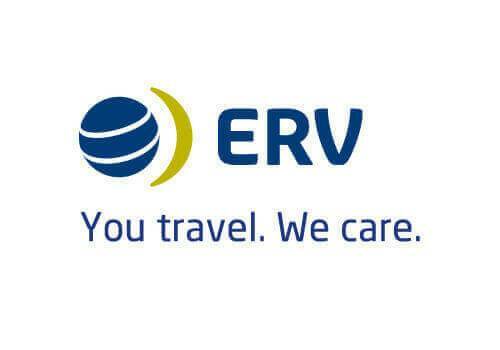 ERV travel insurance – or bootcamp? In order to raise awareness of the advantages of travel insurance, we presented a video campaigning idea for serial formats to ERV travel insurance – coupled with good storytelling. It soon became clear that we did not want to portray accidents or illnesses. Quite the contrary: Under the slogan “ERV Versicherung – oder Bootcamp?” a serial format was developed in which holidaymakers train for the hardships of a trip. After all, what is left over for tourists when they go on holiday without appropriate insurance cover? Right: Only the best possible preparation. Fitness training to be able to catch your flight. Practicing how to reach your connecting flight the fastest. Or training how to manage driving yourself back home in spite of a neck brace and plastered arm – because a return transport is only convered with a travel insurance. So if you don’t want to train extra hard, you better go to the ERV travel insurance. Fun, creative and meaningful, the video series turned out to be an excellent advertising idea for the ERV travel insurance. In less than three minutes, the company can now explain from the consumer’s point of view why travel insurance is worthwhile for them. Around the story and Big Idea, a strategy for the video campaigning was worked out, focused on the previous analysis and definition of the target group personas. A strategy that already took video seeding into account in the concept development and video production to generate suitable formats for the relevant sales channels – Facebook, Twitter and Google+ communities on the subject of travel, holiday and vacation, high-reach travel blogs, YouTube channels and native ads. In addition to the longer videos produced, shorter versions geared towards leads were also developed – adapted to the requirements for placement on the Campaign channels. Has the video campaigning reached its goal? New benchmarks in video campaigning: A serial video format has been created that addresses several generations and shows situations that the target group can put themselves in – whether they are willing to travel and take risks, interested parties or existing customers. Poignant, humorous and a bit exaggerated – the combination triggered a real social media hype. At a glance: With the help of user-defined preview images with more effective call-to-action, we provided the user with clarity and orientation. We were able to optimize usability and retrievability by means of keyword relevant descriptions and titles. The technical implementation: With a specially created campaign landing page, we additionally focused on the service and performance character of ERV travel insurance. Completely responsive, of course. Central eye-catcher of the site was the prominently placed video series “ERV Reiseversicherung – oder Bootcamp?”.